WARSAW – It was quite a year for teams and individuals from the Ink Free News coverage area. While the area lacked a state champion, a very potent senior class from some historic programs put their best feet forward in creating standards that will live on. As we wrap up the 2016-17 athletic year’s coverage with our IFN Top 10 teams and individuals, we begin the week with a look at the first five individuals. The list features four of the all-time best players in their sports at their schools, as well as a junior who will have one more say in her matters. 10. Big Game Swagger – Sometimes, all that’s missing is a little confidence. Triton three-sport standout Zac Pitney really only started to emerge from his shell late in his junior basketball season, during the Trojans’ run to a sectional championship. Since coming into his own, Pitney became one of the most confident and exciting athletes to watch in Bourbon, in any sport. 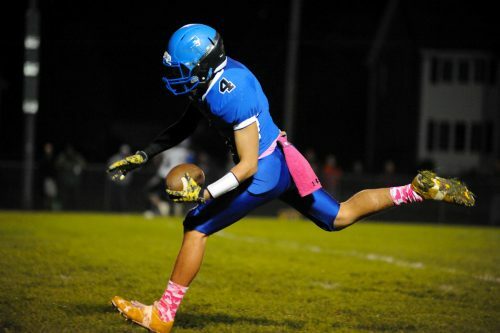 In the fall, Pitney gave Triton football a viable receiving threat as the program began to find an identity under second-year head coach Ron Brown, finishing with 26 receptions, 591 receiving yards and six touchdown catches, all bests for the Trojans. As a senior starter for a basketball team in need of offensive production after graduating most of its scoring in the spring of 2016, Pitney delivered, averaging 14.8 points per game — second on the team behind Grant Johnson’s 14.9 — on his way to a season-high 365 points for the Hoosier North Athletic Conference champion Trojans. He also dished out 2.4 assists, clutched 4.7 caroms and pilfered 1.8 steals per game, but that stat line doesn’t tell the whole story, either. A consummate competitor with a penchant for big game moments, Pitney repeatedly came through in the clutch for his team, including a buzzer-beating shot against HNAC rival Winamac back on Dec. 16, a narrow 47-45 win for Triton and the Warriors’ lone loss in the conference, which eventually sealed the Trojans’ sole possession of the Hoosier North crown. That confidence showed through on the baseball diamond this spring, too, as Pitney notched a 5-1 record on the mound with a .4 ERA in more than 35 innings pitched, according to Maxpreps.com. On the other side of the plate, Pitney recorded a .438 batting average, driving in 25 runs and scoring 23 more for his team. 9. Quiet Demeanor, Loud Results – Erica Stutsman does not run with the flair or flash of someone who knows they are very good. That attitude likely afforded her the reward of a top-three finish at the IHSAA State Girls Track Finals. The NorthWood junior, who quietly and confidently ran over opponents in 800-meter run championships at the Northern Lakes Conference Championships and the sectional, went on to finish second at the regional to Madison Kiser of Pioneer before emerging with a third-place finish at the state finals. Her run of 2:13.21 in the finals was a season-best, Kiser going on to win the 800 state championship. 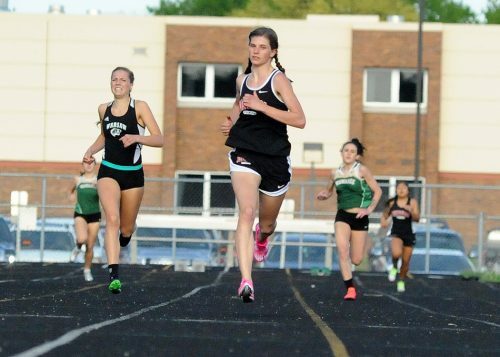 Stutsman also helped NorthWood to several relay wins throughout the season and had the ability to conquer in both the mile and two-mile races when asked. Stutsman’s finish at the track finals was the highest finish of any girls athlete in the area. Stutsman also anchored the Lady Panthers in cross country, herself running to top-five finishes in the conference and sectional meets and then a top-10 spot at regional before ending her season at the New Haven Semi-state. Look for Stutsman to return next season as one of the top runners in the area on both the cross country and track circuits. 8. Screaming Her Name – With the ferocity of a Tyrannosaurus Rex, Meghan Fretz ripped through the 2017 softball season with the nickname that suited. 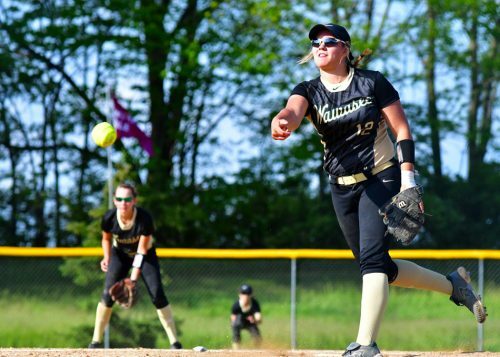 ‘T Fretz’ was a monster for the Wawasee softball team this past season, often putting the team on her back in what was a truly historical season for Fretz and the program. Guiding the team to unprecedented heights, Fretz and Wawasee swept through the Northern Lakes Conference 14-0 then barnstormed the Lakeland Sectional and Concordia Regional for titles. Fretz was 4-0 in those playoff games in the circle, tossing her best game in a one-hit shutout at Concordia. Her offensive numbers were staggering for a Wawasee team that hit over .350 on the season. Fretz finished at .416/.465 with 37 hits, 43 RBI, 17 runs, nine doubles and six homers while striking out just five teams in over 100 plate appearances. Teams purposely pitched around her, and she only went hitless in four games the entire season. In the circle, Fretz was the ace, going 15-3 with a 1.67 earned run average with a WHIP under one. She struck out 142 batters, including a school-record 14 against NorthWood in late April. She also produced four shutouts in the circle, including the gem at Concordia, the first-ever regional championship in Wawasee history. Fretz, an All-NLC performer, was also selected as an All-State player and will continue her softball career at Huntington University. 7. 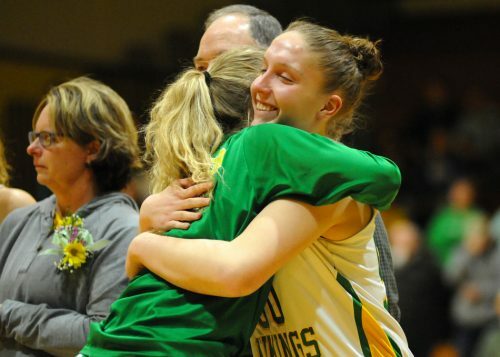 A Tough Act to Follow – Expectations were high for Tippecanoe Valley girls basketball G.O.A.T. Anne Secrest as her senior season approached, and the Lady Vikings post did not disappoint. Listed at 6 feet, Secrest provided her team with the kind of interior presence you might expect, but there was little she didn’t do for the Vikings. The Youngstown State commit averaged 14.8 points per game — scored at an ultra-efficient 66 percent rate from the floor and 87 percent clip from the line — while pulling down better than seven rebounds a night, but she also averaged 3.1 assists, 2.7 steals and 1.6 blocked shots an outing according to MaxPreps. That commanding court presence earned her a host of accolades, including an Indiana Basketball Coaches Association Supreme 15 selection — awarded to the top 15 players in the state regardless of a school’s IHSAA class — and Hoosier Basketball Magazine Top 60 Senior Workout and North/ South All-Star picks, as well as a spot on the Ink Free News’ very own All-Area First Team. 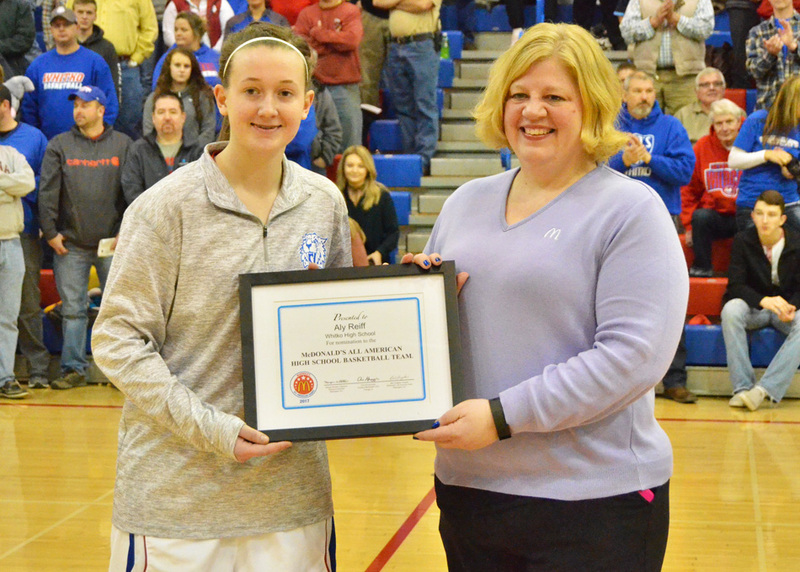 Her on-court IQ was matched by her work in the classroom, and Secrest also garnered IBCA Academic All-State and Three Rivers Conference Scholar Athlete awards. Number 50 finished her historic high school career at Tippy Valley with a record 1,580 points, and her tenure with the program paralleled her program’s best four-year run, as the Vikings amassed an 85-17 record during the same span, one that included three straight TRC championships, back-to-back 25-win seasons and a state finals appearance in 2015. Secrest pretty much did it all for Tippy, and as she leaves, she leaves some big shoes for the Vikings to fill. Reiff, then a sophomore, was already starting to play the game at a different level in what would arguably become the greatest career in Whitko girls basketball history. Her senior season just tied the bow. Reiff graduated as Whitko’s all-time leading scorer, finishing her tour with 1,746 points and was the first of only two (teammate Brianna Cumberland) to pass 1,000 career points, which she did as a junior. But what Reiff was able to do this season for the Wildcats was extraordinary. Reiff set almost every single-season and career record at Whitko, including assists, rebounds and points and helped Whitko to its first-ever No. 1 team ranking. Her 43 points against Huntington North and 15 assists against Peru both were astounding standards. Her final senior season totals of 18.3 points, 7.2 rebounds, 5.4 assists, 4.0 steals and 1.5 blocks per game all led the team, and she was held to less than 10 points in a game only twice, but both were also in lopsided team wins. Near the end of the season, she was named one of the national finalists to be chosen a McDonald’s All-American. The 2017 Ink Free News Girls Basketball Player of the Year will play next year at Xavier University.